The nominees for the 2007 Academy Awards have been released and there are some surprises. "Dreamgirls", a film based on a Broadway musical of the same name, led with eight nominations. The films nominated for Best Motion Picture of the Year include "Babel," "The Departed," "Letters from Iwo Jima," "Little Miss Sunshine" and "The Queen." Helen Mirren and Meryl Streep are both potential candidates for the Best Actress Award, while Leonardo DiCaprio and Will Smith were both nominated for Best Actor. 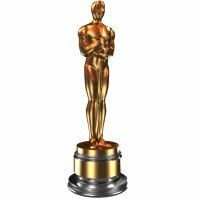 The Academy Awards take place on February 25. 1. The film Dreamgirls received the highest number of Oscar nominations. 2. Both Hellen Mirren and Meryl Streep were nominated for the Best Actress Award. 3. All the nominations were expected. 4. At least 5 films were nominated for Best Motion Picture.